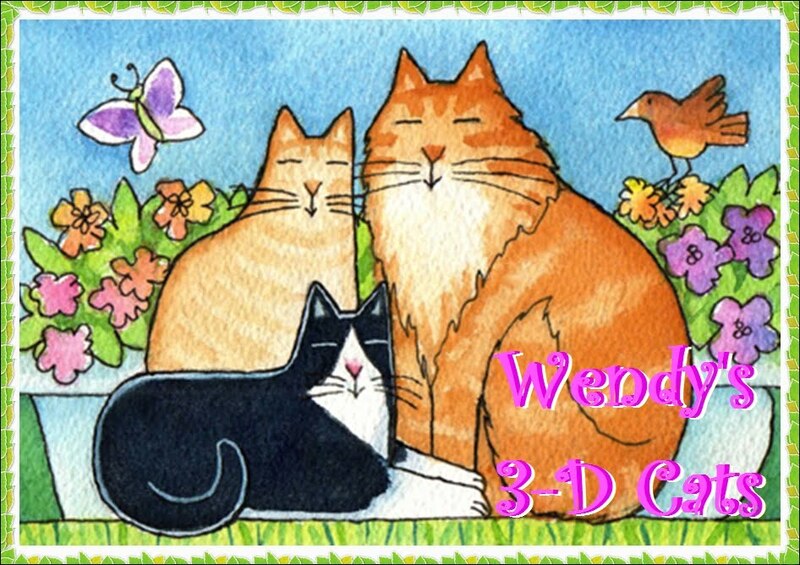 Wendy's 3-D Cats: DANTE & DYLAN: BOYS ON DECK! 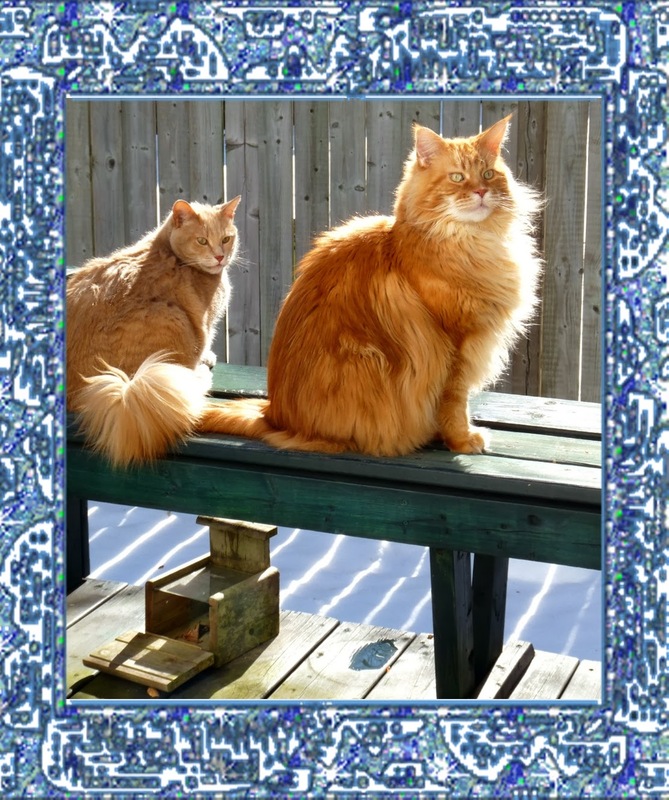 Dante and Dylan are out on the deck benches on a bright, sunny March day. 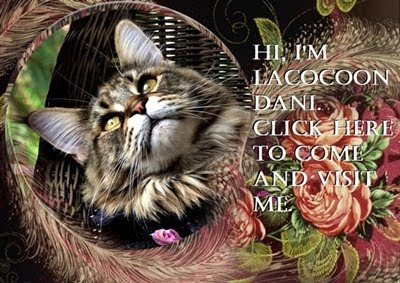 ... and to luxuriate in the sun after being closed indoors on those cold, dark winter days. So, what do boys do when they get a chance to be on deck for the whole afternoon? 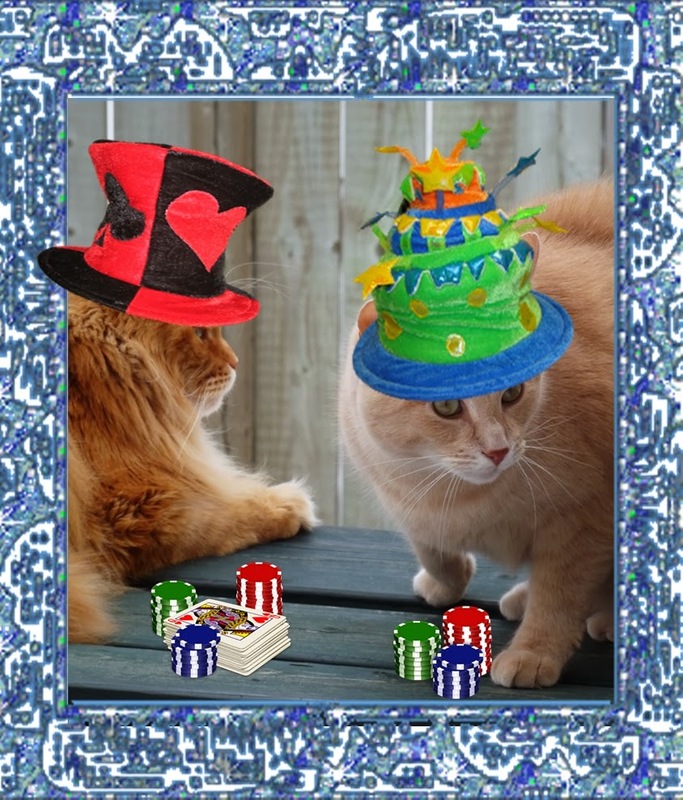 Why they get decked out in their best party hats and play poker, of course! Dylan alerts the neighPURRhood cats that there's a game in the offing. "Let da chips fall ware dey may! ", says Dylan. After all snacks are very important on such occasions. 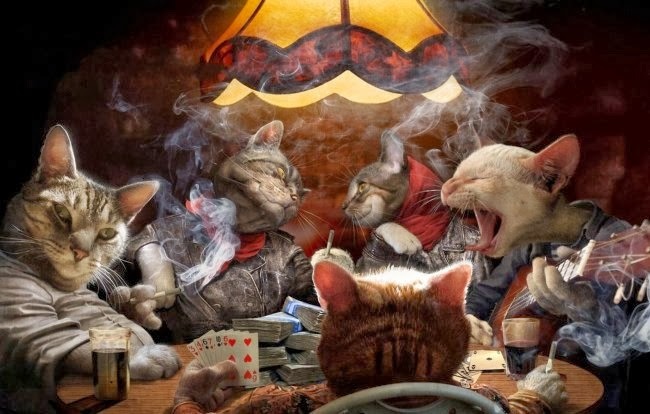 Unfortunately, what started out as a FURiendly game of poker outside in the FUResh air and sun quickly deteriorated into a dark, dank and dePURRaved PURRsuit in the den of iniquity they call "the basement". After all what can you really expect? These are the same cats that hang out on the neighPURRhood fences and howl all night long. The moral to this story? Beware your neighPURRS! Not efurryone is a chip off the old block.